All data centers are built upon a unique pod design concept, making them functionally independent with distinct and redundant resources, and fully integrated through a revolutionary network architecture. You can have direct control over your system in any data center and full access to all of the back-end services—all fully automated and on demand. On-Demand, Virtual Data Center - Through IPMI 2.0 server technologies, secure and remote out-of-band management, and proprietary automated solutions, OpticGrid provides a highly scalable, on-demand, virtual data center experience. Geographic Diversity - With fully-featured data centers in Seattle, Dallas, and Washington D.C., OpticGrid provides geographic diversity ideal for maintaining system and data redundancy, as well as for placing systems in the optimal physical location for traffic volume and speeds. Redundant, Best-in-Class Infrastructure - All data centers maintain multiple power feeds, fiber links, dedicated generators, and battery backup. They are built from industry-leading hardware and equipment, ensuring the highest level of performance, reliability, and interoperability. 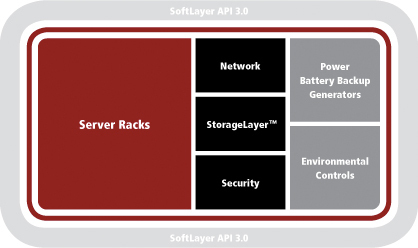 OpticGrid Networks, LLC is proudly powered by the highly redundant, secure and reliable SoftLayer Infrastructure. 99.9% is just not enough and that's why we Guarantee 100% Uptime! Need support? We're here and ready to assist whenever you need us. The price you pay at signup is the price you pay forever! That's a Guarantee.